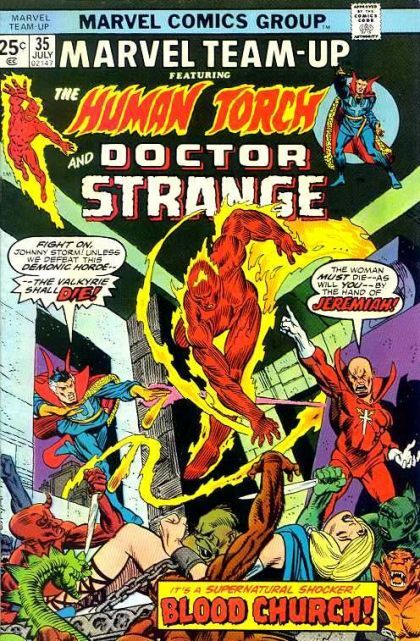 Human Torch and Doctor Strange: Blood Church! Dr. Strange can't find Spider-Man, but he detects the evil that is building. With Valkyrie also missing, Strange contacts the Human Torch, and the pair soon find themselves at the mercy of Jeremiah, the adversary that has been amassing strength recently.